Momentum is key in a new branding suite for Lonsdale Institute. Being at the heart of vibrant city living, Lonsdale is a great place to study. Lonsdale Institute prides itself on student engagement and experience. This is a great place to begin, but better yet, it’s strongly reflected in the feedback coming from students. 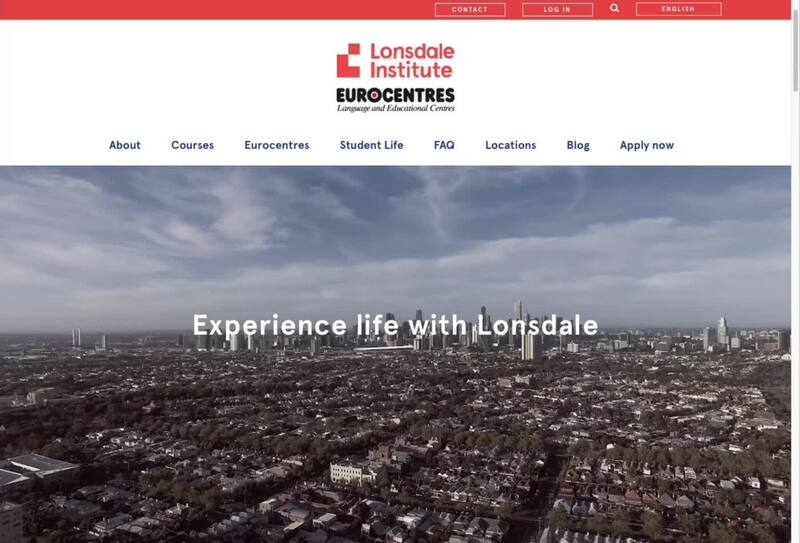 Studying at Lonsdale engages students with city living and local tourism experiences. One of the first things we noticed was that there’s a strong sense of community on campus that is quite different from atmosphere of larger universities. Our internal brief for the refresh of the brand, website and campuses began with the challenge of how it might evolve to communicate more of the energy and spirit driving the institute. The result is a system that integrates simple repeating directional shapes from the logo. From printed and digital collateral (a brand new website is soon to arrive), through to marketing and signage. To this end we created a wayfinding system based upon the modular and directional elements of the branding system for the newly upgraded and refurbished Melbourne and Sydney campuses with interiors by Techné.